Crowdfunding: It may seem like a relatively new approach of financing business endeavors. Sure, the current internet iteration really started kickin’ when Indigogo, Kickstarter and GoFundMe came on the scene in 2008, 2009 and 2010 respectively. But the concept goes back, waaaaay back, to funding war bonds in the 1730s or supporting artists and philosophers in the 1800s. In fact, when government sources failed to provide funding to build a monumental base for the Statue of Liberty in 1885, a newspaper-led campaign collected small contributions from 160,000 donors. And today, Lady Liberty continues to shine her light of freedom across New York Harbor. Imagine a baker begins to shout out that she will make a boysenberry pie for $10 and give out the slices a day later. Ten pastry lovers gladly pledge $1 for a slice and hand their money to a mediator, who ensures the $10 goal has been met and disburses the cash to the baker who can then get to work. This greatly oversimplified model generally represents the core of how a Kickstarter-style crowdfunding campaign operates, but it is also the least likely outcome. More commonly, the baker will start a Kickstarter, only raise $3.47 and have to try again later. If it turns out that 56,782 people love boysenberry pies, the baker has to bear the burden of unchecked success and figure out how to produce more than 5,000 pies in a day. While you’re probably not baking pies (there are rules on the kinds of food can be made, plus shipping fresh pie is a bit tricky! ), but if you’re reading this then it’s likely that you have a product idea that you want to launch. Whatever you hope to bring to life, there are a lot of challenges ahead. What’s the best way to go to market that will not only guarantee your product will be a success but will also generate a profit, too? 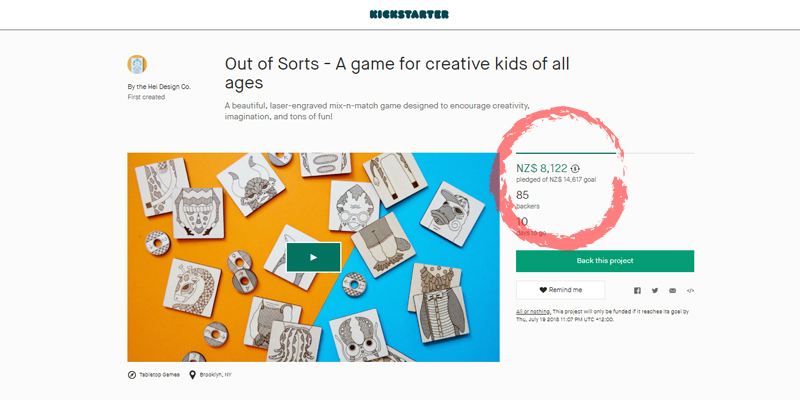 What makes or, more importantly, breaks a crowdfunding campaign and how can you be prepared? This Kickstarter guide will answer these questions and more. 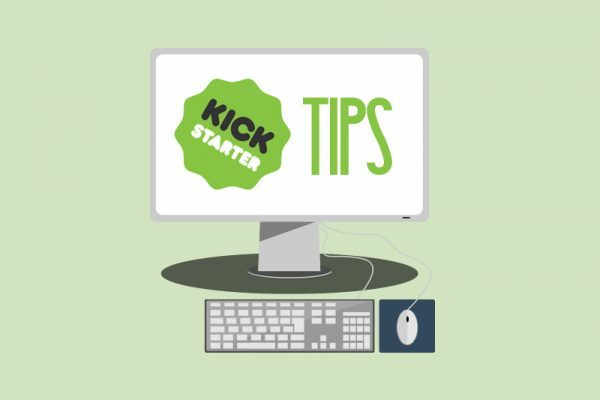 How Does Kickstarter Work And What Is A Kickstarter Campaign? A Kickstarter project must be a finite work with a clear goal, so works such as paintings, comics, tech gadgets, games and music are all fair game whereas a help-me-go-to-Italy-for-a-month adventure is a no-go. A creator is the person (you, baby!) or team that will bring this project to life, and you will determine the funding goal (a.k.a. the threshold of success) necessary to complete the project. Once the campaign is active, backers have the opportunity to pledge money toward your funding goal within the timeframe that you set (up to 60 days). Keep in mind that your funding goal can be as modest or ridiculously high as you wish, but you must match or exceed this goal in order to receive anything. You read that right: Kickstarter is all-or-nothing funding. For example, let’s say you have set your funding goal at $2,500. Even if you were to receive $2,499 in pledges, this is under goal. Thus, you get $0, the campaign ends, no backers are charged and we all metaphorically go home. At first glance this may seem unfair, but it’s not. This format protects both the creators the backers because it ensures you have done the homework on the finances involved to actually be able to make and deliver the project as promised. But before backers will part with their cold hard cash, you must give them a reason. You may go into a Kickstarter campaign thinking you’re a maker, engineer or designer, but you’ll need to be an equally good marketer so that backers will choose your project over another. And that’s the challenge. First, you must offer a stellar product that meets a need for your target audience and fills a void not being addressed by anyone else. Then you’ve gotta sell potential backers on why you’re the best bet. And a little friendly bribery doesn’t hurt. That’s where rewards come in. In addition to the actual product you’re selling, rewards can include extra perks that complement your project. These add-ons can be anything from custom packaging to limited editions or one-of-a-kind experiences, etc. Offering additional rewards beyond the product allows you to set up tiers of pledge values. While you’d love for every backer to pledge heavily to your idea, that’s not realistic. Having multiple opportunities to buy into your experience means you’ll have more potential backers from all budget levels. Everything needed to convince these potential backers to fund your great idea lives on the project page. Front and center is the project title and imagery. While a still photo is fine, video is much more persuasive—and successful. “Video is the best way to communicate the emotions, motivations and character of a project, as well as the sincerity and seriousness of the creator,” says Kickstarter co-founder Yancey Strickler. He also notes that a good video can shift the focus from the idea itself to the creator’s dedication to the idea. This kind of personal story piques your interest and draws you in, ultimately getting you to care about a project that you may not have considered before. Let’s see what all this looks like with a real example: Out of Sorts, a laser-engraved mix-n-match game designed to encourage creativity, imagination and tons of fun for kids of all ages. At the top right (conveniently next to the photo/video section if you’re immediately moved to donate), you can “back this project” as see how much has been pledged. Continue down the right sidebar, and you’ll see the various reward levels. The creators behind Out of Sorts offered eight different rewards—everything from the basic game tiles to a custom one-of-a-kind design of your own. Continue scrolling and you’ll see the bulk of the page is dedicated to describing the project—sharing the inspiration behind the idea, explaining how it will be made, preemptively answering any questions, and addressing any potential risks or challenges—and including lots of photos and videos. There’s also an updates section where creators can keep their audience informed of the progress being made. If the campaign succeeds, backers are immediately charged, and after some time and minus some transaction fees (more on this later), creators receive the remaining funds as well as the order fulfillment information so they can get to work. Since Kickstarter brokers the financial dealings, customer payment information is always protected and isolated from creators. At this point the campaign is technically over, but only after the last box is shipped and received is the project finally complete. Every campaign is unique, and what works for one product category or specific creator may or may not be successful for you. To get a sense of what works from a general perspective, Forbes has seven tips for success, and this post features sage advice from three Ponoko makers who have successfully launched their laser cut products via Kickstarter. Massoud Hassani’s Mine Kafon is a campaign with a cause. Growing up in Afghanistan, Massoud recognized that the current means of land mine removal is still a laborious, dangerous, slow and expensive operation. Inspired in part by childhood toys he crafted, this land mine detonator is designed as a low cost solution to the problem of old, but still active, land mines. 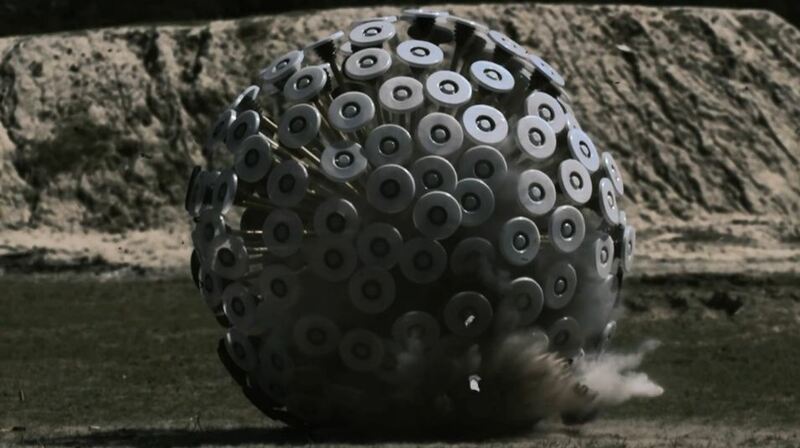 Like a giant tumbleweed, Mine Kafon uses the wind to blow itself across land mine fields. It is heavy enough to set off any anti-personnel land mines in its path, and durable enough to withstand up to four detonations. Not only is it attractive as a humanitarian project that is explicitly out to save lives, but the concept is so clearly explained on the project page that there is little uncertainty for backers. 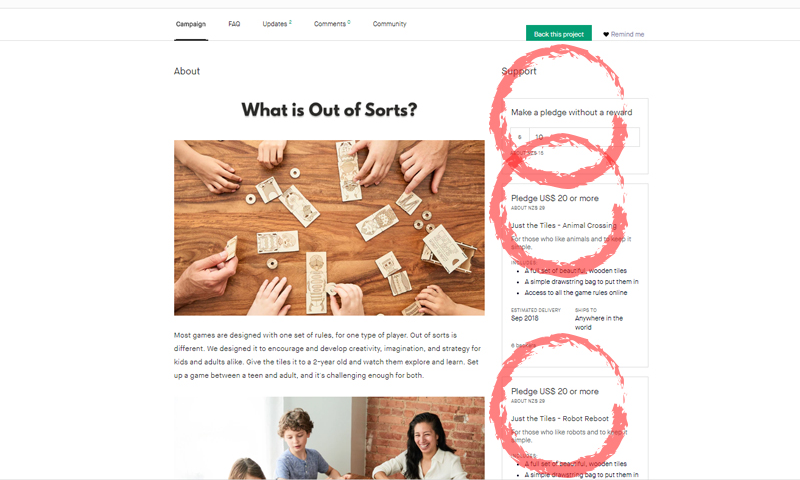 While an exception to the usual pattern of Kickstarter rewards, Massoud created multiple low-tier pledge values so that anyone could contribute, no matter his or her budget. It worked. More than 4,100 backers pledged £119,456. Read all about the project here and see how the Kickstarter campaign was put together here. If you think knitting and crocheting are only for grandmas or that macramé and woven wall hangings were just a fad in the 1970s, think again. Thanks in part to festival fashion, yarn arts are alive and well…and growing. For master crafters, making your own yarn adds another layer of depth and control to the creative process. 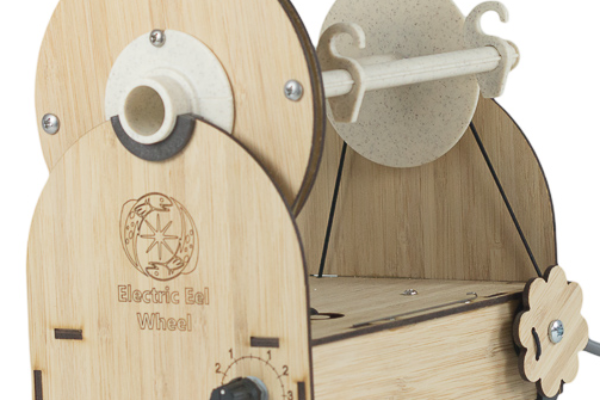 The problem: Electric spinning wheels are expensive. Maurice Ribble saw an opportunity in the marketplace, and the Electric Eel Wheel (EEW) was born. For his 2015 Kickstarter campaign, Maurice set a modest goal of $5,000 that was reached in three HOURS! During the one-month funding period, backers pledged $53,931 to bring the project to life—rolling over his initial goal by 979%. A year later, Maurice was back for a 2016 Kickstarter campaign, which had even more improvements and enhancements over the previous models. He again began with a $5,000 goal. This time, funding was achieved in 1.5 HOURS! In the first two days of the campaign, he was at 600% over goal, completely exceeding expectations. During the 28-day funding period, he received $92,201 in pledges from 428 backers, exceeding goals by 1,744%. His Kickstarter worked because he found a niche that wasn’t properly being served by other products on the market. Get a behind-the-scenes look at how he created this laser cut phenom here. Speaking of spinning yarns, Mixed Media Engineering’s Rope Braiding Machine campaign succeeded for similar reasons. 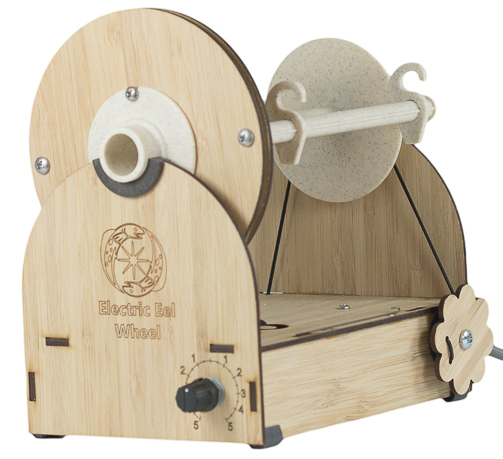 This first-of-its-kind rope braiding machine kit features a 16-bobbin machine that produces a variety of rope weights to make bracelets and jewelry; sailing, fishing and kite lines; parachord; and even super-fine rope for models. By opting for simple laser cut acrylic construction, costs were kept low enough to offer a practical $2K goal. In total, 189 backers pledged $14,709 to help bring this project to life. The Pennypult, a miniature siege weapon, is a physics experiment, toy and a piece of art all rolled into one. Use it to stage small-scale medieval battles, or bring it to the office and lay siege to a coworker’s desk. All you need is a flat surface and 16 pennies to let the fun begin. This gravity-powered catapult gets its special look from the stacked counterweight design. Unlike a traditional trebuchet, the counterweight is positioned above the throwing arm giving a unique throwing action plus increasing the penny projectile distance. In fact, the Pennypult can launch up to 35 feet! This feat alone would have made this Kickstarter campaign a success. 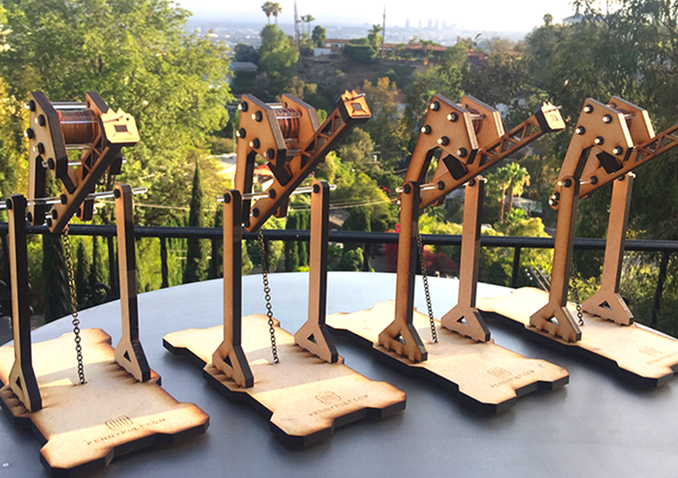 Add in that the Pennypult is super easy to put together—less than 15 minutes and without the use of tools because the precision laser-cut pieces will simply snap together (smartly shown with great photos and gifs)—and backers knew this catapult would crush the competition. With 968 backers pledging $48,003 (original goal was $2,000), they were right. From great works of art down to the credit card in your wallet, the golden ratio is everywhere. In mathematical terms, the ratio is 1:1.618. 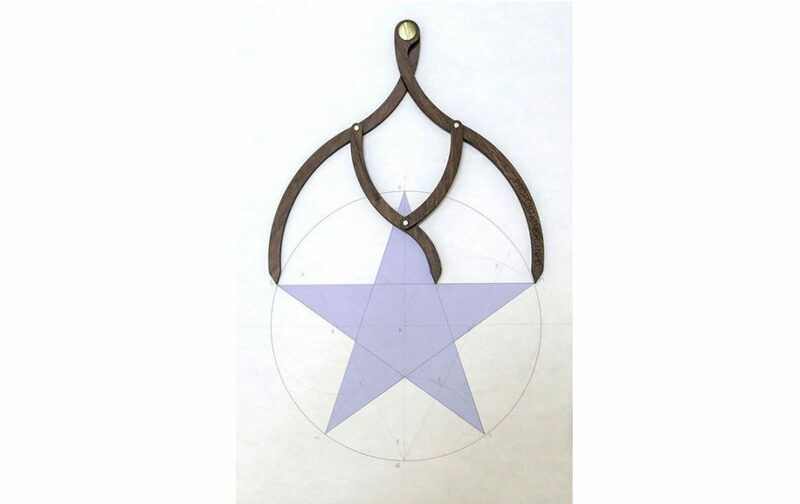 As an author of seven books on the golden ratio, Scott Onstott wanted a way for people to discover the golden ratio in the natural world, in human-made artifacts surrounding them, and to purposefully encode the golden ratio in the things people make. So he set out to create a unique set of golden ratio calipers called The Proportioner. Like many makers, Scott wanted to test the demand for his product before going into full production. So he started a Kickstarter campaign with a modest goal—$1,618—a nod to the number that started it all. In a brief 33-day funding period, he raised $33,772 from 543 backers—totally crushing the original goal by 2,087%. Clearly this product spoke to a niche of designers and engineers as demonstrated by the demand, as there wasn’t anything quite like it on the market. But Scott’s success story is a bit of a cautionary tale. Come to find out, it was extremely labor intensive to assemble all of the Proportioner’s laser cut parts because of the level of accuracy required. This isn’t a big deal for a handful of pieces, but for the quantity sold is was more than he bargained for. After the completion of his first campaign, even though it was highly successful, Scott decided not to go for another round until he finds a way of manufacturing and assembling the product that maintains the accuracy and the price point without the massive commitment of manhours. Being able to scale production is an important consideration if you find you’re idea is a big hit. Inspired by the infamous Spirograph but not satisfied with its quality, precision or design options, maker Aaron Bleackley set out to make his own geared drawing set. 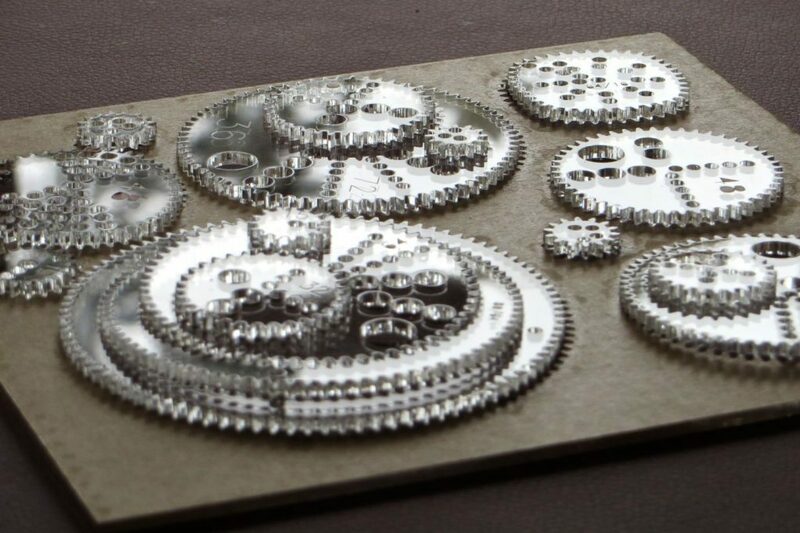 And his Wild Gears project spun out of control, but that’s a good thing. Turns out, Aaron isn’t the only one who loves drawing with these tools, as he’s funded two successful Kickstarter campaigns. This first attracted 46 backers who pledged $3,889, while the second more than doubled with 132 backers pledging $9,622. This campaign is an excellent example of selling a simple idea. Not only is the product exceedingly easy to manufacture via laser cutting clear acrylic, but the pitch was also framed by plenty of images of the final artwork it can produce. Jeff Kessler’s campaign speaks for itself, literally. 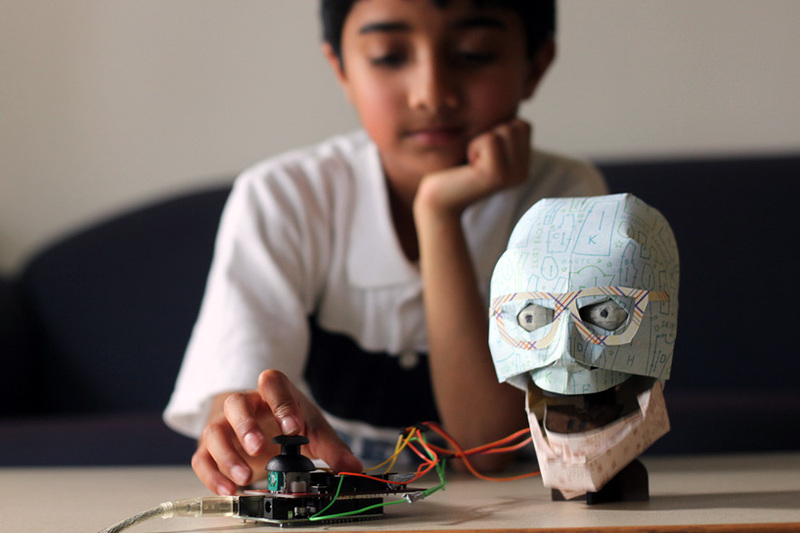 TJ*, a customizable robot performer, has movable eyes and mouth via servos over Arduino. What made this campaign appealing to backers? 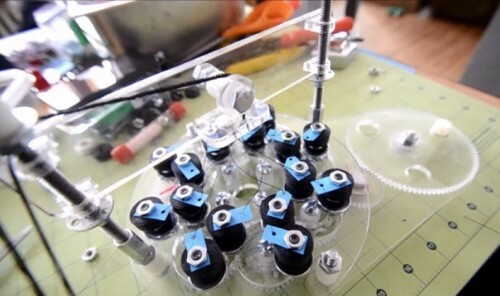 The design of his robotic platform is efficient and easy to assemble. There are also various levels of “completion” for kits, which is particularly important to attract backers of various DIY skill level and interest. In total, 355 backers pledged $40,281 to bring TJ* to life. And these are just a few of the examples of successful campaigns worthy of study. If you want a thorough breakdown of the crème de la crème of Kickstarters, Entrepreneur has an excellent write up of some of the best products to go above and beyond their goals. Beneath the shining examples of campaigns that skyrocketed beyond their creators’ ambitions lay heaps upon heaps of failed ideas. Some were mere cents away from their goal, while others would need an Amex Platinum (or three) to get off the ground. Take a stroll through this list of the worst projects and you’ll see some commonalities on why they failed to deliver. This is one of the most complex variables affecting the success of any campaign. Is your project a good idea? Even if it is, are you releasing it at the right time? Do you have a well-defined target audience? Do you already have an established enough brand that it doesn’t even matter what you’re selling as long as you’re the one selling it? What’s the competitive landscape? Are you solving a real problem? If not, it doesn’t matter if you have a cool product or a slick pitch. To determine if you’re on the right path, this guide will walk you through the basics to ensure you are creating a product you can actually sell. Of all the Four P’s of Marketing, pricing is often the most difficult. Too expensive, and backers are turned off. Too cheap, and you may not break even, let alone make a profit. Many a failed campaign comes from simple greed or naiveté in setting a project goal. This is particularly unique to Kickstarter due to the all-or-nothing campaign style. In crowdfunding, there’s also psychology involved. People like to back winners. By calculating a smaller minimum goal for practical profitability, you can often drive the campaign into becoming a smashing success. Because Kickstarter likes to promote wild successes, the simple psychological effect of seeing a project that’s already a runaway hit entices even more people to get on board. It’s about positioning. Consider: 1,050% of a thousand dollar goal sounds a lot more impressive than 105% of ten thousand dollars, despite the total amount raised being equal. If a creator can’t be bothered to make a decent promo video, how can he or she be trusted to make a hundred pieces of art or thousands of complex gadgets? You don’t need the next J.J. Abrams to shoot your pitch, but basic videography techniques such as good lighting, balanced audio and properly framed shots make a world of difference in drawing potential backers in and convincing them to give you a shot. Also, a little background music goes a long way, but you don’t need to contract Hans Zimmer to score your project. On the flip side, overproduced videos can be just as damaging. Parody Kickstarter videos are easily made because far too many campaigns pitch in the same overwrought, hip-trendy-modern style that seems phony. You’re no phony, so do yourself a favor: Skip the unnecessary expense on an overly slick video and put those funds into product development. There’s a fine line between too few and too many reward levels. On one hand, sales 101 drives home KISS (Keep It Simple, Silly) for a reason. Having unnecessary complexity is no good for backers or creators. On the other hand, you want to have a variety of price points to attract the most potential investors. Base the number of rewards available upon the kind of product you offer + what’s reasonable to add real value. To get an idea of what potential backers expect, check out other successful campaigns in your product category to see what competitors are doing right. This Kickstarter Q&A provides some perspective, as does this post. While deadlines don’t necessarily impact the financial feasibility of the campaign from the backers’ perspective, they will seriously bite you in the behind post-funding if you don’t consider supply chain management, quality control, proper packaging and any unexpected design issues that could eat away at your planned profits. On the flipside of running a lean campaign, unchecked excess could crush the dreams of any small project. This overlaps with unreasonable deadlines as you now face larger logistical issues if you must deliver 10 times (or more!) products than anticipated. While the vetting is minimal, Kickstarter does have an approval process. Follow the Kickstarter rules so your project is not shut down for an avoidable reason. What does it take to develop a Kickstarter strategy for your project? Hint: a lot, and you can’t run a successful one alone. Launching a successful Kickstarter campaign is as much a social challenge as it is a technical one. Only at the very beginning are you evaluated by an algorithm to see if your project meets the criteria for a legitimate campaign, after that everyone who will be looking at your work will be a real human, judging whether or not yours is a good idea. Your video is the very first thing potential backers will see and is the main shareable aspect of your campaign. While many Kickstarters opt to hire a professional video crew to shoot their campaign pitch, it is far from a necessity. As long as your video is well lit (hint: the sun is free), the audio quality is decent and free of pops and noise, people and your product are presented in frame and in focus, that’ll be just fine. Also, a little background music goes a long way, but you don’t need to contract Hans Zimmer to score your project. 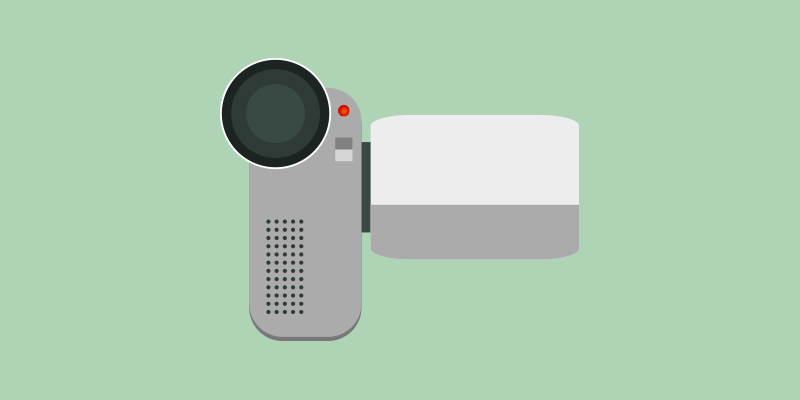 Technical aspects aside, what should the content of your video be? At the very start, be sure to introduce yourself and any other creators behind the project. Life stories aren’t required, a simple “Hi, I’m Sarah and this is Waldo. We’re two artists from Smalltown, Somewhere and today we’re here to talk to you about our passion for Thing XYZ.” Now is the time to talk about your plan and, if your product already exists, go over the design and show off any features that can’t be captured in still images. Reassure people that you can execute on your project and you need the money for specific goals. There’s a fine line between arrogance and confidence that you’ll have to walk, but just be honest about your intentions. It is very much like a job interview in that you might not check off all of the boxes for 100% certainty of future success, but because of your past and commitment to future dedication, you’ll do your best. You’re not only building trust in your product, but trust in you, the creator. Unless your product is so basic as to speak for itself, you have to demonstrate technical proficiency as well as social accountability. Towards the end a simple thanks followed by a call to action is enough. You definitely want to remind people that, even if they can’t commit money to your project, sharing your page with others would be very much appreciated. Overall, keep it brief. If you can’t explain your idea in one minute, then an additional five won’t make it better. Backers are likely already browsing through multiple projects, so if you make it more digestible, well, the more likely they are to hear you out. On this note, it’s also just as important to have a thumbnail from your video that clearly represents your project with your product front and center and minimal text. The video is for covering the core of your campaign in a few minutes. Your project description is where you ought to dive a bit deeper to tell your story and explain the rewards you’re offering. For artist Joshua Harker, this mean having plenty of macro photos of his intricate anatomic 3D prints from his campaign. This kind of detail is essential (especially for artist projects) where the video just can’t quite capture what you’re offering. You should also link to your product website near the top for people who want to learn more outside of Kickstarter. Many projects toss in the concept of stretch goals as an additional incentive for pledging beyond your main goal. Oftentimes, these include additional rewards for “early” backers and unique content or goodies that you would not have otherwise been able to produce. Poligon created a series of beautiful low poly sculptures of animals for their campaign and offered a unique polar bear design as a stretch goal. Simple and effective. 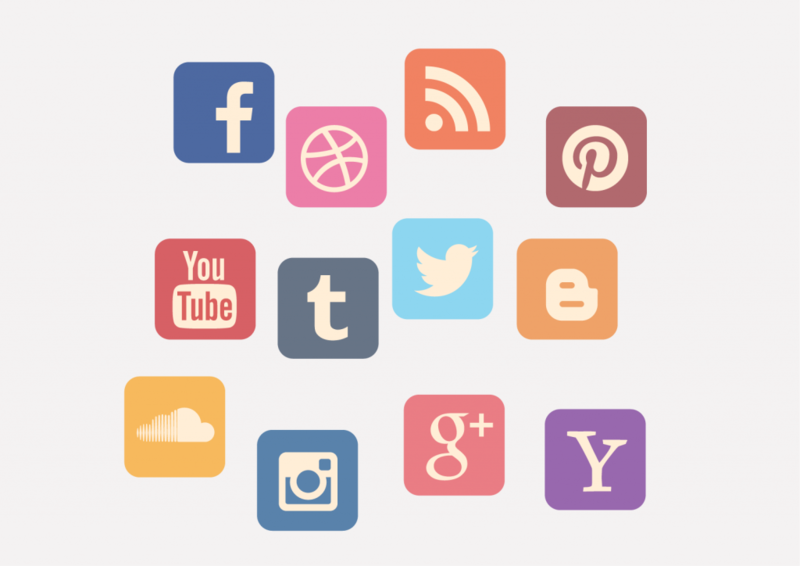 Throughout and after your campaign you’ll have the opportunity to post updates on your project page. While you can technically edit these into the description at any time, posting as updates provides an easier progression of information for backers to follow and keeps your description page concise. 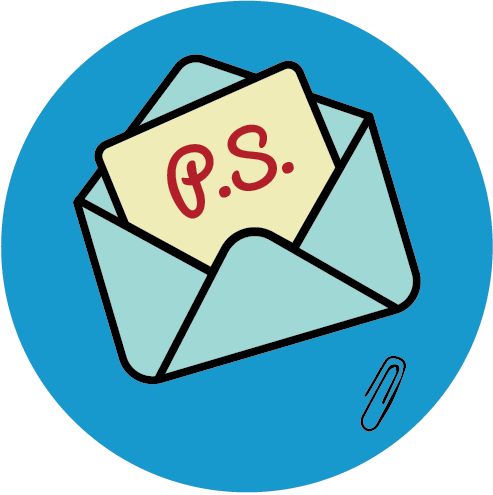 Regular updates will keep your backers aware of your campaign more often, presumably making it more likely they’ll share it more, in addition to just being a regular courtesy. Every project page also has a separate comments tab for user discussion. Often backers will ask questions, and while you may be tempted simply answer there (as you should), I’d recommend updating your project page to reflect the new information. People who are browsing projects, and your own backers, shouldn’t need to check the comments section to find critical information. 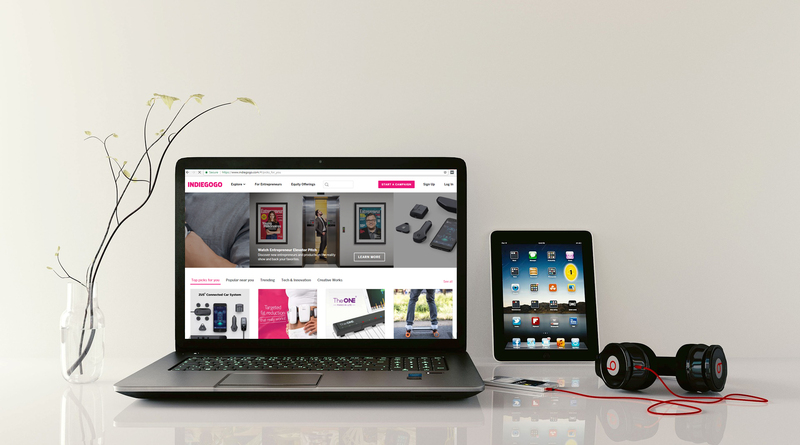 Having everything on the main page is better for overall user experience. Also, every comment is an opportunity to learn why it is you’re connecting with your backers. Why do they support you? While things are certainly full steam ahead at this point, it’s never too late to adjust your campaign’s direction if commenters are willing to tell you how they are responding to your project. Answer questions! Especially the uncomfortable ones. Like it or not, silence allows backers and prospective supporters the opportunity to fill in the blank with their doubts, and since this is the internet, they’re likely to do it loudly and publicly. Nipping their fears in the bud is an assertive way to build trust with your backers. Some people want 100% certainty that you will succeed and won’t settle for anything less, while others will have reasonable faith (that you may or may not have rightly earned) that you’ll accomplish your goal. While getting funded is certainly the bottom line, it’s those latter folks who will more likely have the patience and understanding if, and most likely when, you encounter difficulties in fulfilling your rewards. After you hit go, you’ll be spinning plates the entire length of your campaign to keep sustained interest. Press releases make it easier for people to talk about you (especially if it can be packed in a tweet) so have one ready beforehand. It’s an extra step, which basically comes down to reformatting your project description, that also demonstrates more professionalism. Reach out to your fans! If someone seems to be particularly enthusiastic about your campaign, reach out to them not only share thanks, but to encourage them to share it even more. Here’s a sobering fact: You’re building a bridge to that elusive funding goal and even if you do brilliant work, your 100% of effort can only ever build 50% of that bridge. The rest of that path is built by the backers, and the influencers who encouraged people to build towards your idea. There are two opportunities where influencers are incentivized to talk about your project: at the start, where your project is fresh and exciting content, and at the end, just days before that elusive funding goal where backers have a limited opportunity. Take advantage of these two hype periods for promotion, while being sure to remain respectful to whomever you’re marketing. You’re reaching out for support, not lunging. And the secret sauce? As soon as you have your product idea, start building your own email lists of potential backers and promotional channels (EG – bloggers & social influencers in your niche). Then make sure you contact your lists at least 1 month before your campaign launches – to let them know something is coming. Then 2 weeks before launch, remind them you’re really close to launch. Then 24 hours out, let them know again. And perhaps on launch day, etc. In this way you will bring a warm crowd to your Kickstarter from day 1. Don’t rely on Kickstarter traffic. Seed the start yourself to give yourself more of a chance of getting promoted by Kickstarter. Of course, when you’re emailing your lists from a month out, give them something that’s unique to them for being first / create a sense of urgency for them to want to get in early before everyone else. You’re not just designing and making one project, you’re preparing a dozen. Kickstarter rewards are their own beast, and even the most well received and executed project can fall flat on its face if the rewards aren’t as exciting. For Kickstarter, pledge rewards are some of the best crowdfunding perks. The range of reward ideas depends on your type of project, but their are many creative opportunities that work for nearly any campaign. Some backers just want to help. This is often the swag tier that doesn’t limit the number of backers, is typically priced less than $20 and offers inexpensive rewards or non-physical signs of gratitude. Many projects include “Thanks” pages that list all supporters starting at this level, and some creators even personalized thank you notes. Now’s the time to call up your buddy with the screen printing service and make yourself a hundred t-shirts or hats. This is the main crop of backers that want the actual project advertised and will likely be the bulk of your funding. This level of rewards typically includes delivery of one (or more) of the final product. Depending on your ability to supply for the demand, leaving this level open to unlimited backers allows for the most pledges. Providing a limited set of “early backer” rewards with an extra gift can entice your first backers and get the ball rolling. 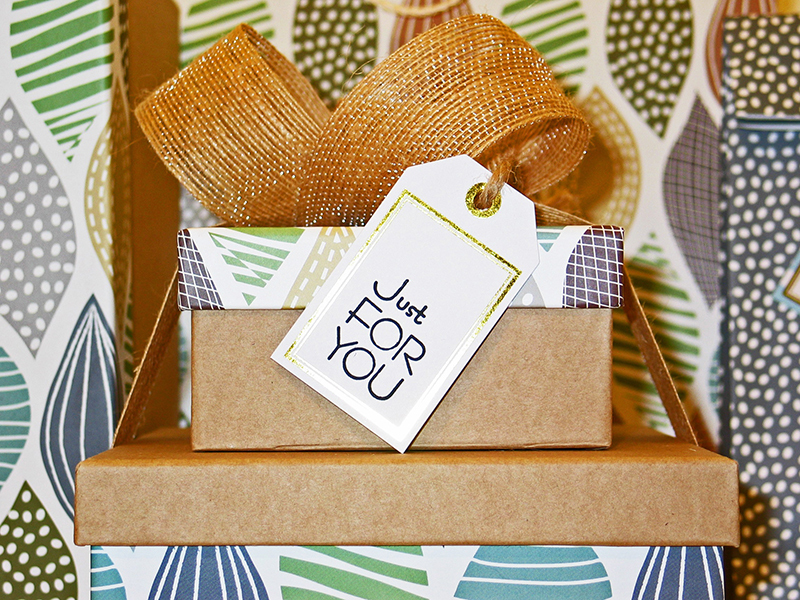 Rewards for backers who want a package deal of your product are always attractive. There are many backers who are teachers, community organizers, et al. who want a bulk reward tier (which is also slightly cheaper for you to offer) and would be more incentivized to pledge if this tier is available. 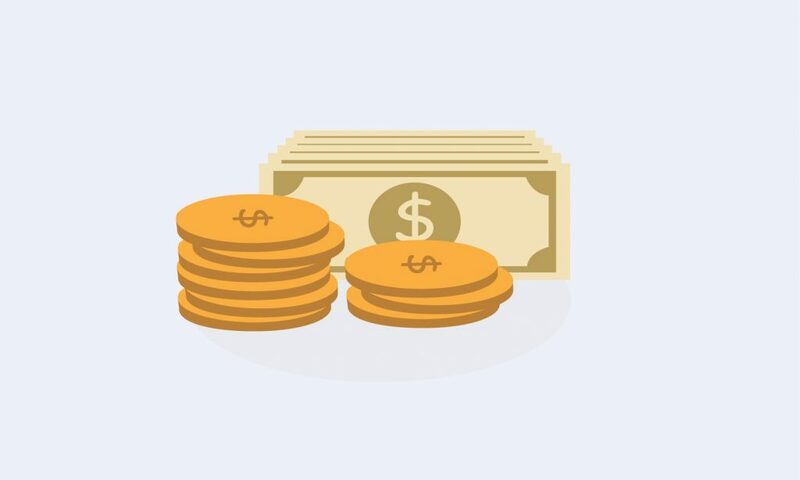 At this level, many campaigns often offer slightly cheaper versions than at the individual level, so you may want to limit the number of pledges to prevent offering too much at the smaller margin. While not always appropriate for every campaign, it’s a fun and potentially lucrative idea to offer (usually less than 10) rewards that are more expensive. Rewards are capped at $10,000 USD, so there are limits to what can be offered, but this kind of high-level pledge allows creators to be more personal. Perks such as paying for travel to local events, personalized products, and exclusive communication or thanks from the creators (if well known or considered “celebrity” within their niche) are great opportunities to attract superfans. Higher tiers including lower tiers. Even if it’s just swag at the lowest levels, the higher tiers of rewards should include everything received in the lower levels (within reason), so that the supporters who pledge more money are rewarded fairly. It seems trivial, but could make the difference for some who feel like none of the rewards should be exclusive. Be very generous with your deadlines. This comes down to the underpromise and overdeliver attitude that should always be present when pitching an idea. Leave information about your rewards in the main project description. Reward descriptions should be brief and literal. It’s not all sunshine and rainbows on your way to the bank. 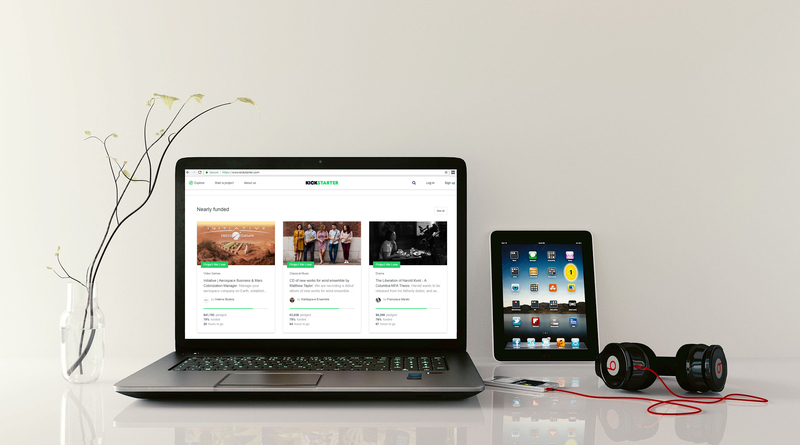 Kickstarter has provided a popular and powerful platform to help you achieve your pecuniary ambitions, and they receive their share of your earnings in exchange. What Percentage Does Kickstarter Take? Out of your total funds raised, Kickstarter receives 5%. For payment processing in the US, you’ll also be charged 3% plus $0.20 per pledge or 5% plus $0.05 for pledges under $10*. Beyond these explicit costs, credit card payments might not be actually received, so even if you have a successful campaign, you might not raise the amount you expect even after deducting fees. Unfortunately, the number of failed credit payments is unpredictable, and you are charged the payment processing fee even if the card fails authorization. This further incentivizes the short campaign strategy, as the fewer days between launch and funding, the less likely its backers will have somehow invalidated their credit information. * Values and figures depend on your location of business. You can read more here. Consider throughout all of this you will be investing a substantial amount of time with no guarantee of payment. I recommend not even counting your own cost of labor because appropriately charging for your time would likely add significant cost to your project. Frankly, Kickstarter on its own is not a profitable means of producing a physical product save a lucky few exceptions. Kickstarter is easily the top dog when it comes to trafficked crowdfunding sites. Launching there naturally means that, even if they don’t pledge, you’ll have more eyeballs on your product and people will be introduced to you or your brand. You can gauge interest in a similar or more complex project and receive valuable feedback by essentially using the campaign as a beta test. In ye olden Kickstarter days, you were allowed to show off the “artist impression” version of your product and still run a whizbang campaign. This only applies to the Hardware and Product design categories, but it is important to note that you do need to demonstrate a working version. It doesn’t need to be a finished product, but images that imply it is are strictly forbidden. Well, if you need to have something made quick, what’s a designer to do? The hot new thing in terms of additive manufacturing (despite being decades old technology), 3D printing is an excellent choice for prototype fixtures, enclosures, or anything else you might need made out of plastic for your product. While FDM machines like the Prusa I3 are great for printing larger objects out of useful materials like ABS or nylon, if you need to have ultrafine features in more than one axis, then SLA or SLS printers would be more appropriate. Speaking of which, this LittleRP SLA 3D printer is an enticing option if you’re looking around for one. There’s a particular beauty in seeing freshly machined aluminum, hot out of a mill with the distinct tooling marks over the surface. 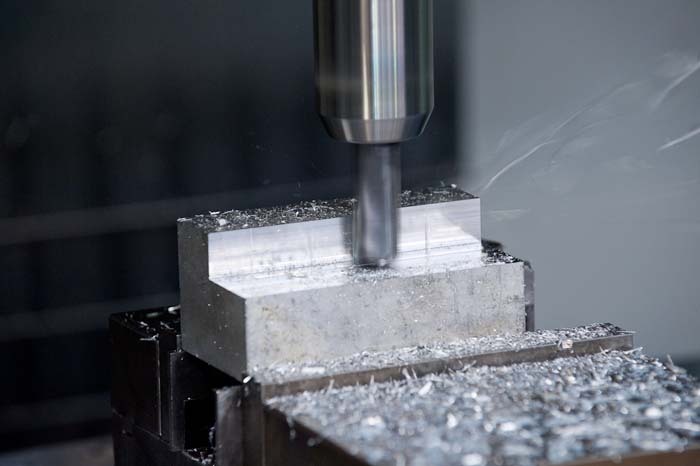 While having your components machined is easily one of the most expensive options, it certainly demonstrates you mean business. There are a lot of hobby-grades desktop mills now, and while they won’t be able to do a final production run, they’re more than capable of making prototype parts in house. The Shapeoko, which is an open source CNC router design, is now a popular platform for many a maker. I personally call these instant gratification machines, because they are far and away one of the fastest CNC technologies that allow you to turn 2D designs into physical parts. If you only need teeny, tiny laser cut parts, then you might try your hand with the MicroSlice laser cutter, but if you need a few more material opportunities and bulk production, you’d be better off using a professional laser cutting service. Hardware like the Arduino and Raspberry Pi are excellent choices for quickly creating electronic proofs of concept. Thanks to massive online communities and years of third-party hardware accessories, creating effective prototypes is easier and more affordable than ever. While you won’t find them in many finished products, Jeremey Williams’ very popular Game Frame LED display project has an Arduino at it’s heart. While you may or may not have met your goal in order to produce, all is far from lost if you’ve had a failed campaign. As I’ve mentioned earlier, one of the main benefits of Kickstarter is the marketing value from having your idea on a heavily trafficked website. 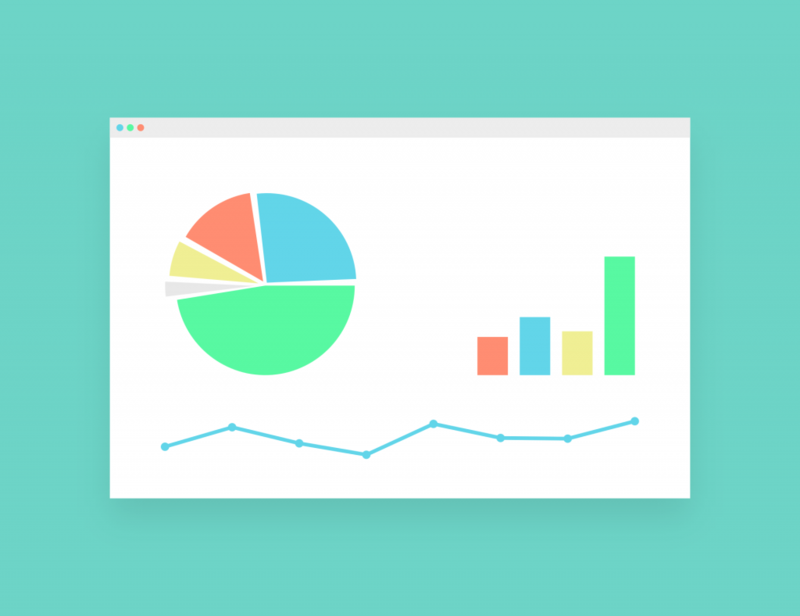 If you’re confident in your idea, and the market research you’ve done shows that it could be profitable, there’s always just doing it the old fashioned way and trying to secure a business loan. While it’s not technically for starting operations, many individuals use crowdfunding projects to launch a business and transition from Kickstarter to Shopify when the product is ready for prime time. There’s no rule against trying again! There are dozens of other websites like Kickstarter and variations of the most popular crowdfunding platforms, each with their own quirks and unique strategies that might be a better fit for your needs. 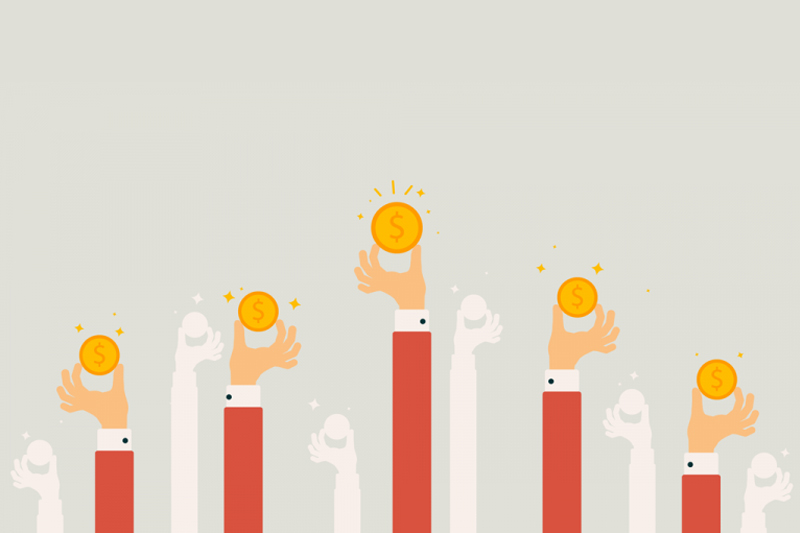 Believe it or not, this is still just a brief introduction to crowdfunding. There’s so much more to research and discover and prepare for a successful campaign. It seems like a lot, and that’s because it is. If you’re asking for $100,000 to build your dream and share it with the world, are you prepared to do $100,000 worth of work? Or more? If you’re feeling uncertain, that’s good. No one launches a venture like this with a guarantee of success, but that’s the thrill of it.